Former USMC sergeant, with a BBA in Industrial Management and a MS in Instruction and Performance Technology, currently a student of Institute of Integrated Nutrition. I am a small farmer, trainer, health coach and wellness advocate. This is probably the most delicious kraut ever. The recipe is based on one in The Essential Life, 3rd edition, page 386. Sauerkraut is very simple, and wonderfully healthy. It is a raw, fermented food, which means it will deliver health enhancing probiotics to the gut, while increasing alkalinity and nutrition absorption. Put sliced/shredded cabbage and onion in a large bowl, sprinkle with coarse sea salt and your spices. Massage the cabbage with your hands, after a few minutes it will begin to produce brine. Continue massaging, rather forcefully, until the bowl is very wet with the brine. Place the cabbage mixture in your crock or Mason jar, a little at a time, pressing down as you go. The goal is to eliminate all air pockets, and cover the top surface with brine. When the jar is full you want to eliminate air getting into the cabbage, do so with one of these three methods. 1 – use an otter cabbage leaf to cover the top of the cabbage making a seal. 2 – use a small ziplock sandwich bag with some water in it to keep the cabbage submerged. 3 – use a glass weight, small canning jar with water in it, or a saucer to hold the cabbage under the surface of the brine. Cover the jar with a cloth and rubber band to keep insects out, or use a canning jar lid, or special lid made for fermentation. .
Tamp the cabbage down daily to remove all gas that accumulates in the cabbage. After 6 or 7 days taste it, when it reaches the desired taste it is ready to be moved to the refrigerator. If mold forms, scrape it off, taste the sauerkraut below, if it tastes fine, keep it. If not, spit it out, and discard the batch. Try my other fermented veggies recipes, and please share your comments below. January is always a time of new beginnings. What things have you decided to change this year? It is never too late to invest in your health. You can plan to add more movement into your days, or perhaps remove all white things from your plate, perhaps more time with family and friends, or maybe even more sleep. This month doTerra has a gift for all of those who have not ordered in a while. We want you back!!! Great time to re-ignite your passion for what brought you to Doterra in the first place… your health and that of your loved ones. If you have not placed an order for the last 4-12 months (Since August 31, 2018 or before), you are eligible for this reactivation promotion! Yes, this stacks with the other promotions! Please let me know if you have questions about this promotion and to see if you qualify. The December Frankincense special has been extended! Free product of the month! If you are building your Doterra business in 2019 you need to be at this event. This just may be a game changer for you! Register here for the Builder Bootcamp. Let me know if you want to carpool on the day of the event! This recipe is adapted from a recipe I used with a bread machine. Depending on how dry your flour is you may need just a touch more or less to get a loaf you can handle and get into your bread pan. This is perhaps the most moist, delicious bread I’ve ever made. I use a Kitchen Aide to do all the ‘hard work’ and would recommend you do the same, if you can. Heat your water to about 115º, place in the mixing bowl, add the coconut palm sugar. Measure 4 cups of flour and place on top of the water. Make a well in the flour and add the salt and yeast. Drop the salt and yeast into the well. Lock the mixer so the dough hook will stay down in the dough, and turn it on to a moderately slow mix. Allow it to mix until most of the flour is incorporated and then begin adding the remaining flour until a wet dough forms. Turn off and cover with a towel, allow it to rest for about 5 minutes. Notice the stringy-ness of the gluten. When you return to the dough mix it for about 5 minutes, until you can see that the gluten has developed. Cover again and let rise for about 30 minutes. Meanwhile butter your bread pan. Mix the dough down one more time, add just a little flour if the bread seems too wet. You want a very soft, sticky dough that you would not be able to work with your hands. Scrape the dough into your bread pan, smooth the top and put it into a cold oven. Once dough is in the pan it goes straight into a cold oven. Turn the oven on and set to 350º – at 35 minutes check your bread. It should be done about 40 minutes, it will have a nice brown crust and sound hollow when tapped. If you want a crisp crust remove it from the pan and let it sit on the oven rack for just a couple minutes. Then remove from the oven, cover with a towel, and allow it to cool on a rack at least 15-20 minutes before slicing. If you like you can try other wheat types – I will try spelt one day soon and post an update for you here. I love the holidays, it seems there are more opportunities to spend quality time with friends and family. And, always, along with that quality time there is a meal, or finger foods or some sort of refreshment. Who doesn’t enjoy such occasions? Even an introvert can find opportunities to enjoy themselves in a small intimate gathering. The gift giving and big sit-down meals of Christmas are a wonderful thing. And so is a simple bowl of soup shared during a warm conversation with a friend. I think sometimes we push ourselves more than is necessary when hosting these events. I don’t believe that we necessarily do these things from a sense of prideful boasting, but more from a desire to please. None-the-less, in an increasingly complex and complicated world, let’s move toward the basics. A simple meal, shared with friends, regularly. There is some science to prove this act alone could extend your life! Food is essential for life. We are born hungry, and proceed to eat at almost every opportunity for the rest of our lives. Here in the US, where I live, food is plentiful and inexpensive. Well, at least food-like substances are. We all eat, our brains drive us to seek food as nourishment, energy, and for pleasure. Some of us eat to relieve stress or emotional pain, some of us eat to live, some of us eat for the pleasure it can provide. And none of us would have developed to the state we are now without the food we have perhaps unthinkingly eaten. In the end, we are what we eat. Preheat oven to 350ºF, and butter a 8×8 or oversize loaf pan. Butter bread on 1 side, stack slices with butter sides facing, and chop into small pieces. Put bread into the pan. Mix eggs with syrup and cinnamon, add 1 cup milk or half-and-half, mix well. Pour over the bread. Bake about 30 minutes, until eggs are set and the casserole is browned. Serve immediately, or eat cold, as a dessert. Most people would say I keep a pretty tidy house. They might even say it is very clean. Unfortunately for me, I don’t agree. See, I’m the sort that sees, and notes, every little detail that is out of ‘alignment’ with what I learned in the Marine Corps. Attention to detail, shine that shower stall with lemon pledge, dust the plumbing under the sink, fold your spare blankets to make the shape of the lower-case “e,” lace your boots right over left, trim all strings off your cammies or you are dangling Russian rappelling ropes. You get the idea. Place apple pieces in a small bowl, add lemon juice and 1/2 cup water, toss to cover all sides of the apple – this will prevent it from turning brown as it sits exposed to air. Then drain the liquid. Add grapes to the bowl, and toss the fruit together. Divide fruit between 4 small bowls. Mix the yogurt, honey, and cinnamon, then drizzle over the fruit, top with walnuts and a sprinkle of cinnamon. You could swap out other fruit like green/sour apples or pears. Melt butter in an 8×13 pan, spread okra across bottom of the pan, sprinkle with chipotle pepper. Place in oven. Toss about every 20-30 minutes. Remove from oven when no longer wet or slimy, and starting to brown along some edges. Alternative: We cook these on the stovetop in a cast iron frying pan, long and slow, until mostly brown and a bit crunchy. They are delicious! Put coconut oil on cookie sheet, and pop in oven just long enough to melt, then spread over bottom of the sheet. Wash and cube the sweet potatoes into about 1/2 to 3/4” or so cubes. Toss the sweet potato with the cinnamon and chipotle pepper on the baking pan. Bake about 50-60 minutes, until tender and beginning to caramelize on some of the edges. Put oil in pan, add Brussels sprouts and garlic, mix and bake. Give them a stir occasionally. You can also use fresh Brussels sprouts for this recipe, I typically cut them in half through the core. Alternatively, cook in cast iron skillet or Dutch oven on the stove top, long and slow. Joshua Rosenthal is the founder and director of the Institute for Integrative Nutrition, and the author of this book. The book is 13 chapters and 290 pages before you get to the recipe section. This book is a wonderful introduction to topics ranging from dietary theories and what they mean for you to basic Ayurvedic practices, exercise to spirituality and all life-related topics in between. 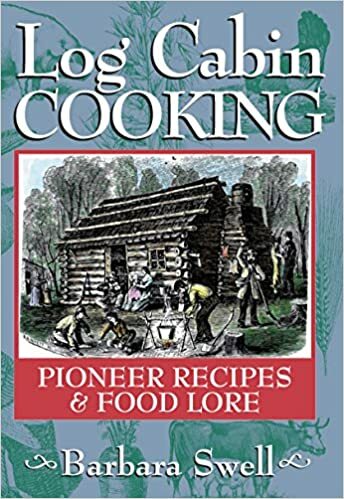 This recipe is adapted from “Miracle Cobbler” in an old cookbook called Log Cabin Cooking: Pioneer Recipes and Folklore by Barbara Swell. I’m using Einkorn flour, which may have some nutritional benefits over regular contemporary wheat flour. I always buy whole wheat/Einkorn berries and grind my grains fresh at home. 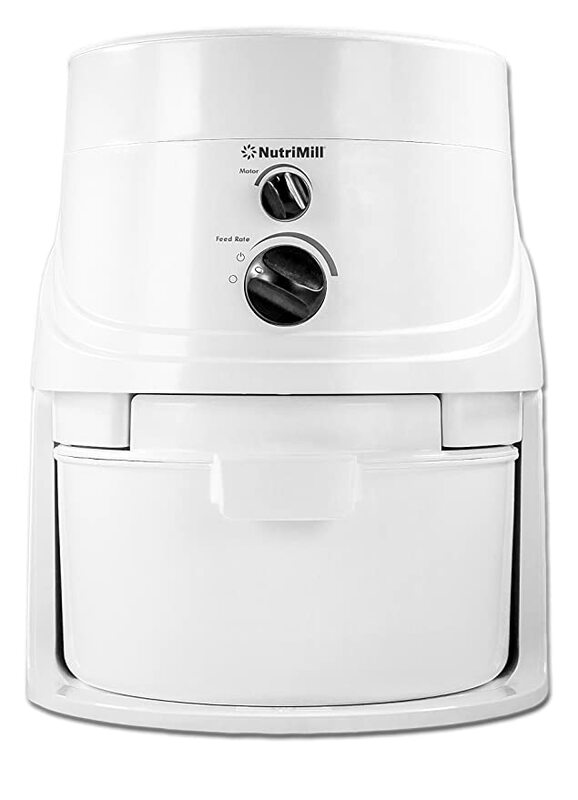 I have a Nutri Mill classic grinder, we’ve used it for years. Heat oven to 350 ºF. Melt the butter in the 9″ skillet, then swirl around to coat sides, set aside. Stir dry ingredients, then add milk, stir until smooth. Pour the batter into the skillet. Sprinkle the berries on top, and sprinkle with sugar if desired (completely not necessary, just really for looks). Bake about 35-40 minutes, until done. I recommend removing onto a plate or platter once cool as the moisture from the cooled cake can do weird things to the skillet, and darken the bottom of the cake.